We are personally owned and operated, which means the owner is on the job site at all times. You can expect the highest level of service from Septic Medic. As a septic company with years of experience dealing with all types of conditions, our emergency services, including septic tank repair, are available at any time along with regular septic system maintenance. Quality and service is Septic Medics highest priority! Located in Dingmans Ferry, we serve Pike County, PA, including Delaware Township and surrounding areas. No Job is too big, or too small for Septic Medic. 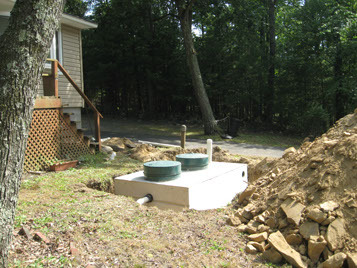 Septic tanks are an important aspect of many personal homes and businesses throughout Pennsylvania and Pike County. Properties located in remote regions may often be equipped with this form of personal sewage treatment, as well as vacation homes and other pieces of property that are too far away from municipal sewage systems to be of any benefit. The reality is that hundreds of thousands of homes in the country utilize a septic system in order to meet small-scale sewage necessities. Why Should I Schedule Septic Maintenance Services? An appearance of one or several of these issues can indicate a potentially severe problem with the entire septic tank system. Routine septic system maintenance can usually help avoid a more serious, and expensive problem down the line like replacing your septic tank. 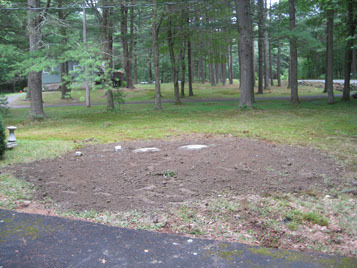 Learn more about what to expect from routine septic tank maintenance. What Should I do When I have a Septic Problem or Seepage Issues? Contact Septic Medic to discuss any septic system problems you are currently having, or to learn how to prepare for potential problems in the future. Even a high-quality septic tank and system still requires regular maintenance in order to work at maximum efficiency. The key is having access to a quality septic tank repair company at a moment’s notice in the event of a catastrophe, or to deal with any particular warning signs that may come up. 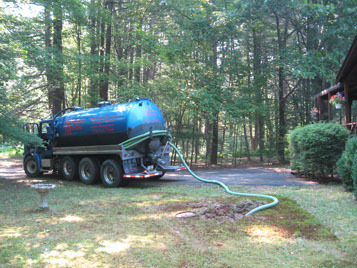 Septic Medic is the answer for a host of septic system repair issues, and offers unparalleled service for septic repair. Our business is personally owned and operated, so you know that you will be receiving the highest quality care and service. We understand that having septic tank and septic system issues can not only be hazardous, but can also interrupt one’s day-to-day life. We work quickly and efficiently, in order that you and your family can get back to enjoying your home, vacation home, cabin or property again. Some of the services we offer at Septic Medic are purely base on emergency situations, or “septic alarms” that may occur, while others focus on various aspects such as regular maintenance and upkeep, as well as septic tank pumping services. 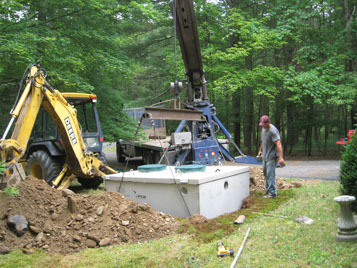 There are times when a septic tank will require repairs or even a complete replacement. Issues such as flooded waters in the drain field, toilets that are moving slowly, and various odors can mean that you are in need of septic system maintenance at a minimum. We will do a full inspection and advise you about necessary septic tank repair, or provide an estimate to replace your septic tank if that is the best option for you. This service focuses on pumping one’s septic tank to ensure that it does not overflow. It is often recommended to pump septic tanks every 2 to 4 years, or every 3 to 5 years. However, it is important to realize that the amount of water use can greatly affect the duration required for pumping. The more individuals that use the entire septic system, the more water flow that is used. Ultimately this means that more frequent pumping will be required due to the septic tank filling up faster. The rate of use is a factor to keep in mind when looking into tank pumping services; Septic Medic offers tank pumping and more. Different land and property might call for different design elements to ensure a properly functioning septic system; the average system is comprised of two elements: the septic tank and the absorption field. Some systems, however, may require a third component often referred to as a dosing or pumping tank. You may even need a septic drainage field. In these cases, Septic Medic can help design around your particular needs, providing you with a quality system. We all know that no system is perfect, and the same applies to septic systems. There are times an emergency could happen at a moment’s notice, which could even quickly surpass many of the normal warnings signs. Septic Medic recognizes the importance of having a quality service available at a moment’s notice, and is available to address any septic alarms and emergencies, big or small. A septic alarm is usually an indication of high water in the pump tank, which means there is some sort of problem with the pump itself. If not addressed water will start backing up into the house, and this can happen in a matter of hours or days. Owning a property or home that has more than one clogged toilet, bath, or sink, it could actually mean an issue with the main septic sewer drain. When this occurs, sewage can end up flowing into lower-lying drain openings, which can cause a serious backlog resulting in foul odors. Our Clogged Drain Snake Service can eliminate these issues resulting in a clean and problem-free septic system. 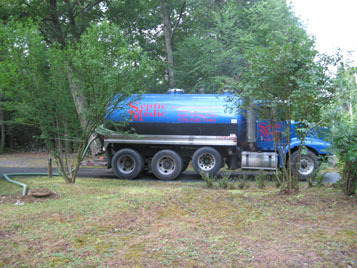 Septic Medic is available for any and all septic tank and system emergencies. 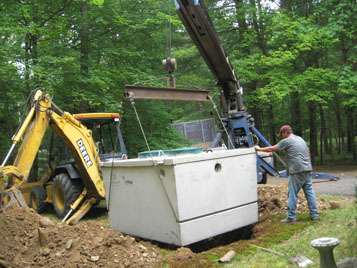 Contact us at 570-828-7444 for all of your septic system service needs. Digging test pits is going to determine the type of system you are going to need. 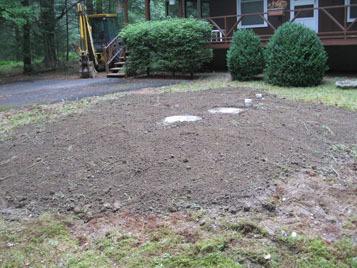 The percolation tests are going to determine the size of your septic fields.